March 13, 2019 by Catwg Neath 0 comments on "In October last year we received our Gold award"
November 16, 2018 by Newall Green Manchester 0 comments on "Newall Green celebrates Remembrance day"
October 16, 2018 by Newall Green Manchester 0 comments on "Newall Green visited Gorton Monastery"
September 23, 2018 by St Agnes Manchester 0 comments on "St Agnes’ CE Primary Celebrated International Day of Peace "
September 11, 2018 by Terrace Road Swansea 0 comments on "‘One Light’ @ Terrace Road"
The Foundation Phase had a wonderful time practising the Peace Mala anthem ‘One Light’. 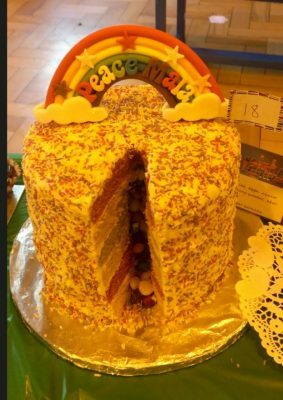 September 6, 2018 by Newall Green Manchester 0 comments on "Saying Goodbye to Mr Whitehouse"
August 12, 2018 by St Agnes Manchester 0 comments on "BEE in Manchester and spread the word of Peace Mala"
July 5, 2018 by Terrace Road Swansea 0 comments on "Peace Mala Poster Competition @Terrace Road"
The Peace Pals at Terrace Road have had a tough time judging the poster competition. So many wonderful posters. We had over 50 entries!